He's good at being used as an opener (Moonfire, which boosts magic attack as well as Ancient Blessing's healing/buff when used), Magic and Healer pets love him for Moonlight's boost, and his AB makes him very resilient. Be careful around Humanoid types, pets that can change the weather (it will render your MF/SF useless), and heal-heavy/magic-heavy parties (who will take advantage of Moonlight). Avoid using Starfall right now; I give a more detailed explanation on the page, but basically, it's a more-wasteful, more situational Moonfire variant. Also avoid Arcane Storm - Ancient Blessing is simply too important to exchange for an AoE that removes your Moonlight. 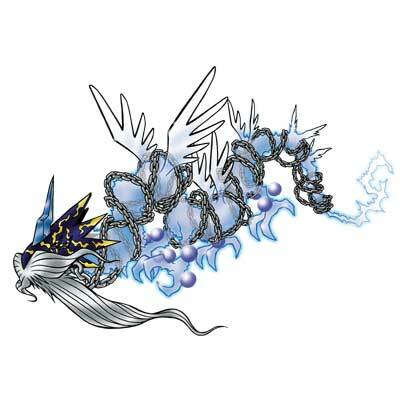 greatest son of Elegon , this battle pet will never gonna let you down. provides a good damage output, a self heal that can easily outheal wild-pets around all Azeroth. can provide you a good pet leveling and self heal is more useful if you are trying to capture +18level pets as this dragonkin can heal itself enough. consider leveling to at least 11 or 12. For some reason his heal (Ancient Blessing) is not actually healing. It plays the animation, but he gets no health - instead, my toon sobs as though a pet has wiped, and the move's cooldown is triggered. Am I imagining things, or did they change one of it's abilities just recently ? I swear it used to have Atem instead of Flammenwerfer a few weeks ago. This guy can be a great opening pet to give out a few buffs, like Aaro said, but he can also dish out some serious damage, if you focus on it. Go Roar + Blessing + Moonfire, and try to keep your Roar buff up all the time. Use Blessing when you need to, Moonfire on cooldown, but what you're going to be trying to do is line up your Roar buff, Moonlight weather buff, and your Dragonkin passive buff to get out a 200% Moonfire off. This pet really needs a revision. Its abilities really don't have synergy with each other, except for Moonfire and Ancient Blessing. I'd really like an excuse to use Starfall, but it doesn't have any other magic abilities to go with it. Since Breath has been changed to Flamethrower, its tier one abilities seem like filler. Whenever you summon this pet, you can never dismiss him... EVER! He will drink mountain dew, monster, drink coffee etc. Also, every 10 minutes, if he doesn't tweet anything, he nerfs your class to the ground and he will decrease your size by 99%. If you /spit him, he will say "lol l33t fgt step up xD" and proceed to ban you forever. It may just be that this pet is more noticeable than others, but in my garrisons with a menagerie, I see that this pet actively follows me around every now and then. I never notice my other wandering pets follow my character but his guy seems more cuddly. And that makes me happy. For developers looking for this pet's species id it's 255. One of many Battle Pets that can fly alongside your flying mount, and doesn't simply disappear. Breanni in Dalaran, eine der berühmtesten Sammlerinen exotischer Haustiere, schenkt den mystischen Himmelsdrachen nur gleichgesinnten Sammlern, die mindestens so besessen sind wie sie.